Math worksheets and games in a variety of topics including addition, subtraction, multiplication and division. All worksheets are free to download or print. Click on links below or on side menu to access thousands of worksheets on each TOPIC. Please enjoy these math worksheets as part of your school curriculum or as supplement work. These worksheets are ideal to give the student that extra practice to gain confidence and proficiency in varies math topics at an early age. We will continue to add more math worksheets and expand to more topics. Please visit us often to see new math worksheets available. 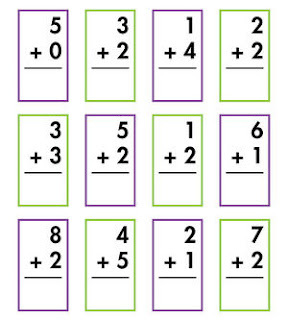 We have thousands of unique individual math worksheets for you to use. They are free to view, print or download. Each worksheet comes with an answer sheet. The elementary level math concepts such as addition, subtraction, multiplication and division are skills that need to be mastered and its best done by practicing. You can also use fraction calculator as a reference during practice. Please enjoy these math worksheets as part of your school curriculum or as supplement work. These worksheets are ideal to give the student that extra practice to gain confidence and proficiency in varies math topics at an early age. Free printable math worksheets in a variety of topics including addition, subtraction and multiplication. All worksheets are free to download or print. The intent and creation of the worksheets were to make available extra practice sheets for students throughout the year. The elementary level math concepts such as addition, subtraction, multiplication and division are skills that need to be mastered and its best done by practicing. We will continue to add more worksheets and expand to more topics. Please visit us often to see new worksheets available. The purpose of this website is to share resources and help each other. Copyright © 2018 : www.ExtraMathSheets.com.